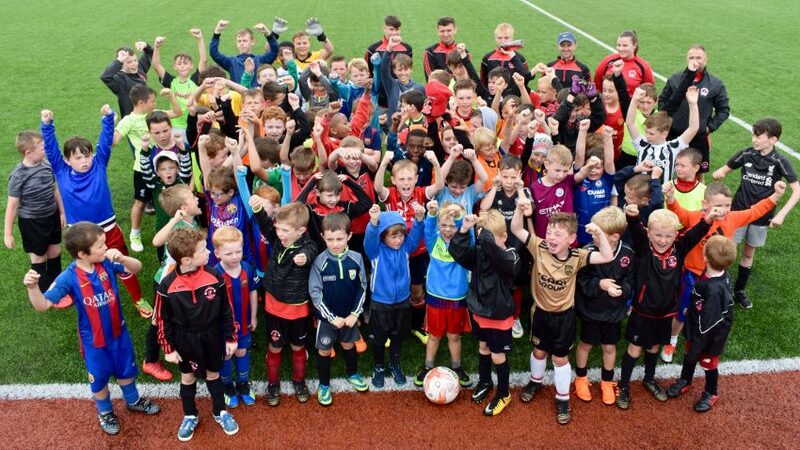 FAI Summer Soccer Schools at St Brendan’s Park FC will be on the week beginning July 23rd. Book early to avoid disappointment, visit camps.fai.ie for information and to reserve your place on the FAI camp. Our own club coach Donagh O’Brien will supervise this camp. 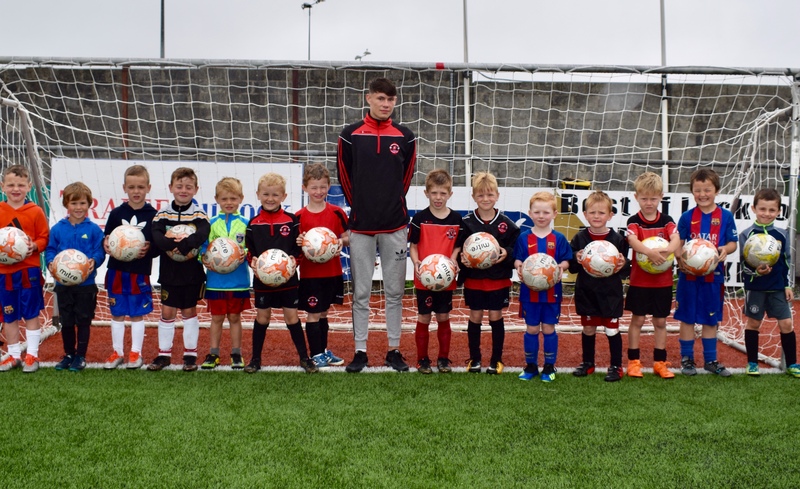 Also St Brendan’s Park FC will host its own weekly soccer camps on the weeks of July 16th and July 30th. These club camps are for boys and girls and will operate Monday-Friday from 10am to 2pm. Mike McCannon and Warren McDonald will be camp supervisors. 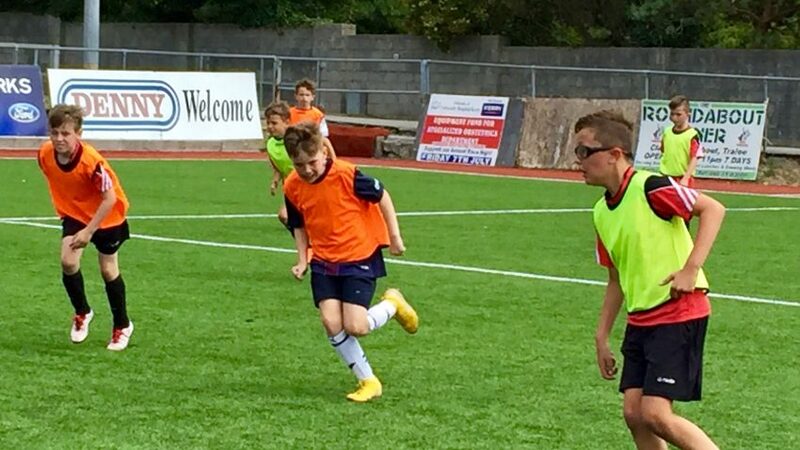 More information on booking and fees will follow in a few weeks regarding our own club camps. 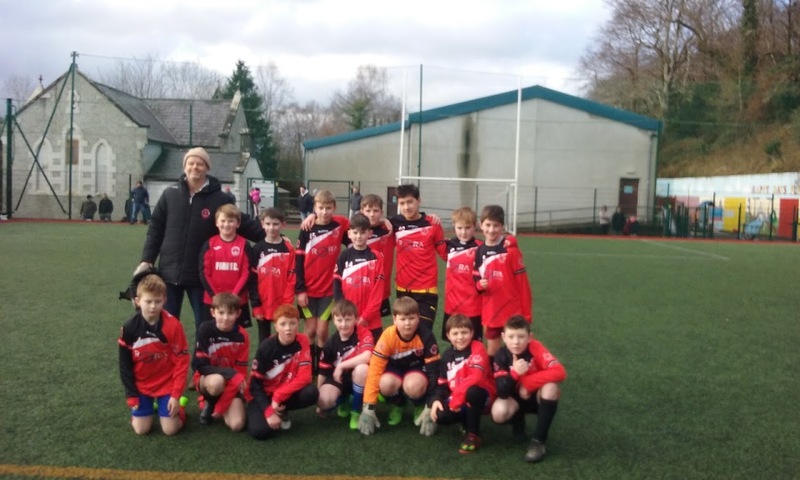 The sun beamed down on Park’s Under 12Bs as fourteen youngsters made the trip to Fossa in Killarney to take on the mighty MEK. Because of the weather the match was held on the club’s astro pitch. Space was at a premium with the ball zipping through off the speedy pitch to both keepers frequently, in the first fifteen minutes. 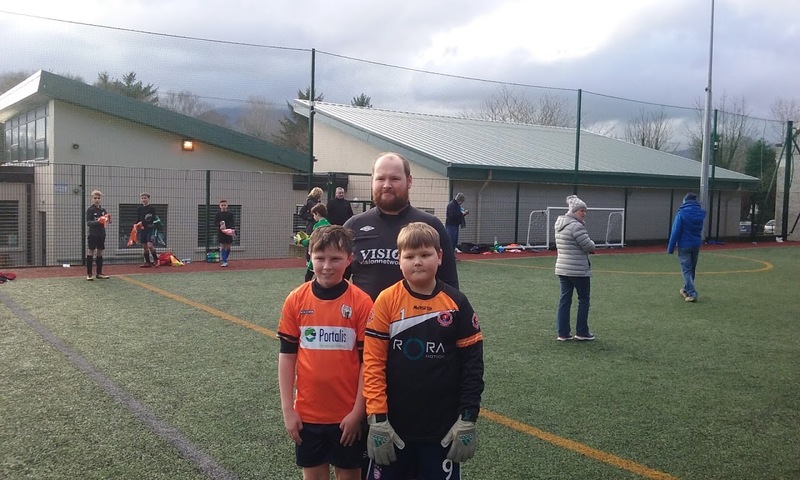 Captain for the day Matusz made a number of smart saves in the first half and the defence of Jakub, Zach, Sean Heaslip, Rory and Killian were kept constantly on their toes. MEK had the better of the opening thirty minutes, but clear-cut chances were limited and the two teams went in at half-time without troubling the scorer. Team Manager Paul spurred Park on with some spirited words of encouragement and it seemed to do the trick. Ten minutes into the second half, man-of-the-match Finn, who had been tackling and rampaging through midfield, eased his way past a couple of MEK players, made space for himself and launched a dipping shot Steven Gerard would have been proud of, past the helpless MEK goalkeeper to give Park the lead. Eldion, Kevin, Mark, Sean Whelan tried hard to create chances for Park’s forward line to increase the lead but MEK who had already forced Matusz into three fine saves were not to be denied. Jamie O’ Shea for the home team hit a curling shot which agonisingly squirmed under the body of Matusz to bring MEK level. 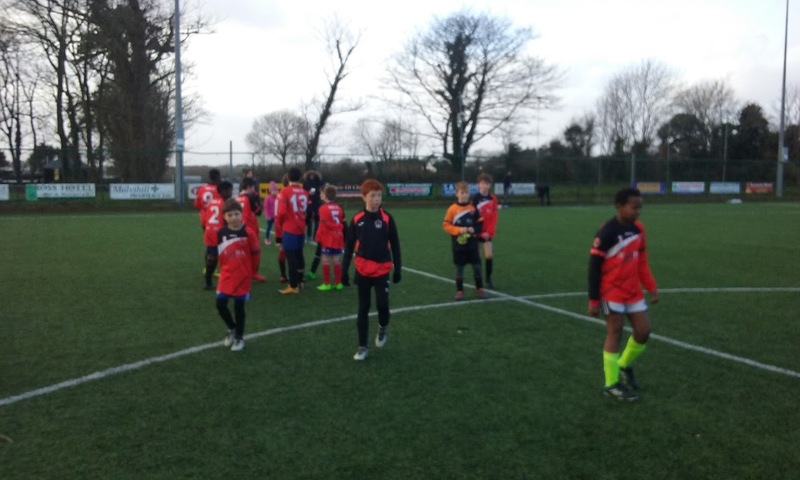 Trey with a marauding run, crossed for Jamie to go close, while Adam and Odhran both had half chances, but so too did O’Shea for MEK, getting through one-on-one in the final heart-stopping moments, only for Matusz to stand tall and deny him. Final score 1-1 was according to many neutral observers, a fair result. Soggy underfoot conditions from the relentless overnight rain greeted the two teams onto the pitch as battle commenced. 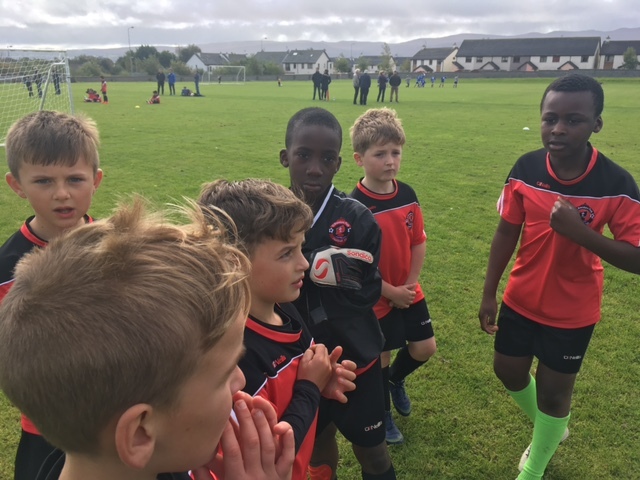 Park employed Finn in a central defensive position, behind speedy William, Trey and Odhran, with Adam plying his trade up front as the lone striker. From the off, William and Odhran skated down the flanks with ease creating early chances for Park. The defensive line were relatively untroubled in the early stages with Sean Heaslip, Zach and Rory, mopping up any through balls in front of their calm goalkeeper Kevin. Park peppered the Ballyhar goal with their keeper making some splendid saves until finally Finn drilled a low, curling shot into the corner giving Park the lead. Park rotated their squad, bringing on Killian, Rex, Eldion and Sean Whelan, all making an impact. But on a rare foray into Park’s half of the pitch, a shot from Ballyhar’s striker clipped the back of Killian’s arm and the referee immediately pointed to the spot. Despite the best efforts of Kevin in goal, the penalty was expertly converted and the teams went in level at the break. Paul gave an inspirational and motivational talk at half-time which spurred Park to greater heights as they crashed the ball against the post and thundered another shot against the crossbar. Trey was tripped inside the box and rose to take the penalty, but his shot struck the outside of the post and was cleared for a corner. It looked like it was going to be one of those days. With moments remaining, man-of-the-match Finn, who had been outstanding with his defensive duties, burst forward and curled a wonderful shot into the top corner to deservedly win the match for Park on the balance of play. 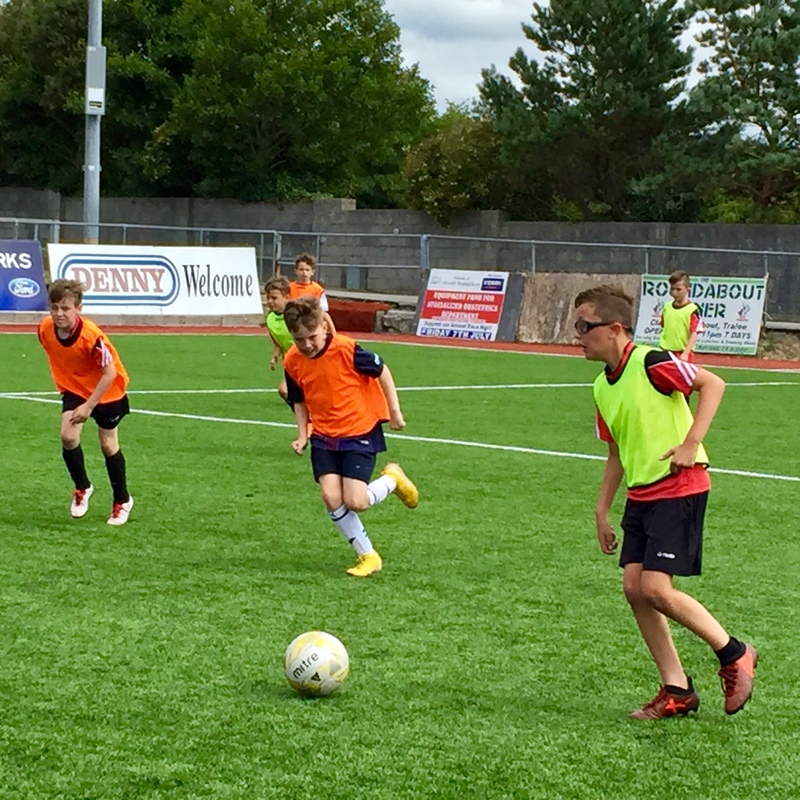 On a rain-soaked pitch, Park welcome league leaders Camp to their home turf. After a rousing pre-match speech from Manager Paul, Park took to the pitch with a defensive line-up, with Park aware that Camp had blasted seven goals past one of their leading challengers, earlier in the campaign. 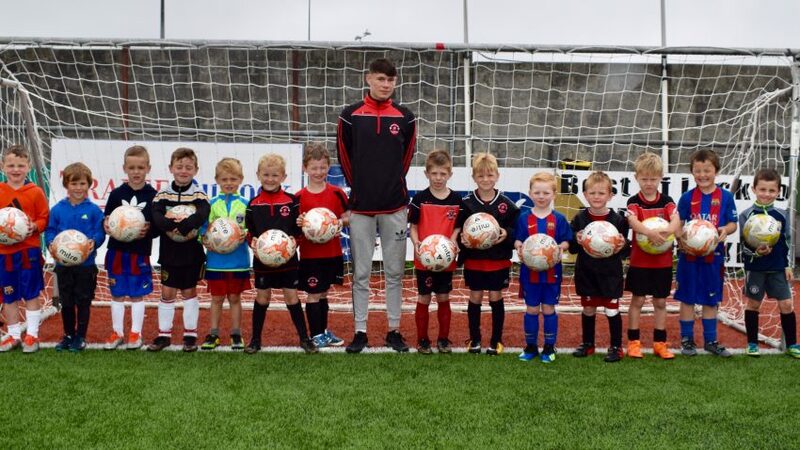 Park’s mighty midfield quartet of Finn, Eldion, Odhran and Sean Heaslip, battled hard, with Finn racing through one-on-one only for Camp FC’s man-of-the-match Carl Mitchells, to make one of several outstanding saves. 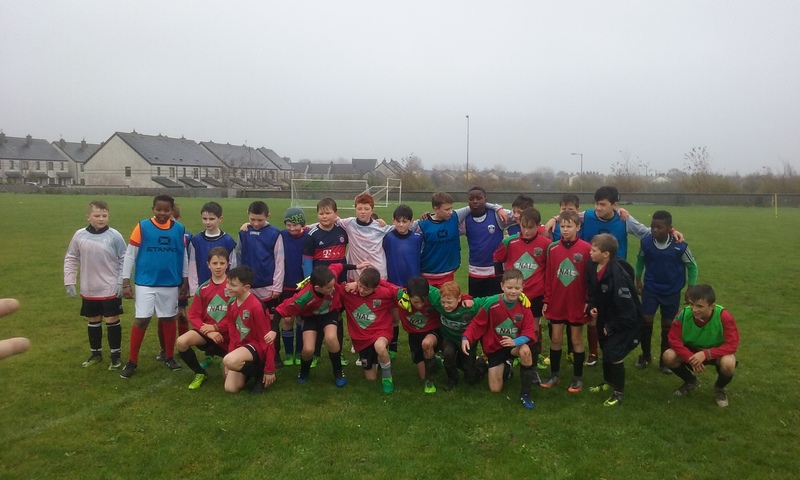 Camp dominated the early exchanges with Zach, Cillian and Rory on their toes constantly to keep them out and they deservedly took the lead with a low strike from close range to lead 1-0 at the break which squeezed past Mateusz in goal. Lone striker Adam, and William, when he replaced him, ploughed a lonely furrow, chasing down ball after ball. Park had the advantage of the wind in the second half and brought on Sean Solomon, Trey, Marc, Rex and Sean Whelan as both teams came close in an end-to-end battle. 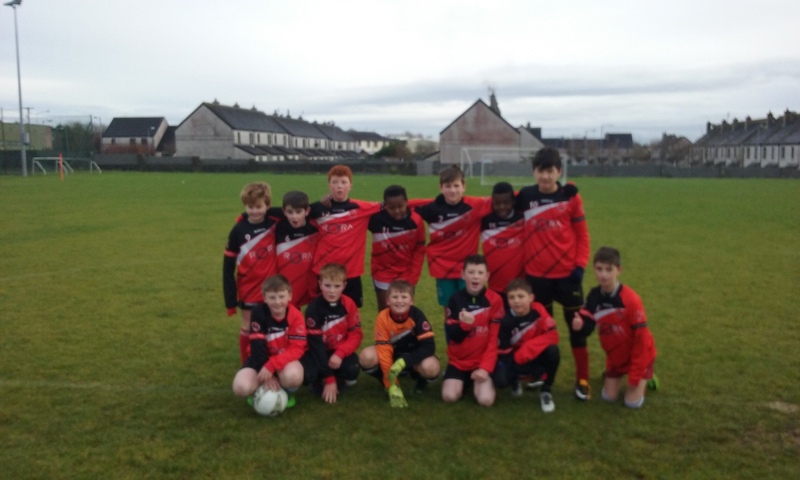 Sean Heaslip had taken over between the sticks, but the turning point in the game came when Cillian put his hands up to protect his face from a fierce shot and the referee pointed to the penalty spot. Camp duly tucked away their second goal of the tie. Moments later as Park pressed for a goal to get back into the game, with the rampaging Jacob, making his debut for Park, tearing up and down the wing, Camp broke the off-side trap and slotted home a third. With seconds to go the referee again pointed to the spot. Jacob had been hauled down following a long through ball from Zach. The exceptional Carl Mitchells got one hand to the ball, but the power of Jacob’s spot kick made sure it nevertheless rattled into the back of the net. It finished 3-1 to Camp. A thorougly entertaining game, full of positives for Park FC against a strong Camp team who ran out deserved winners on the day. The following, St. Brendan’s Park Fc players, have been selected to attend the FAI Emerging Talent Programme Regional Block training days at Killarney Celtic FC, Killarney on the dates in October 2017 outlined below. All players should report 30 minutes ahead of training, bring boots for suitable for artificial turf and should also bring a bottle of water with them for training. Where possible, players must wear their League Centre training kit. If you have any queries regarding these training session, or if a player is unable to attend any of these sessions, please contact Regional Centre Coordinator Darren Aherne as soon as possible at 086 0489019.